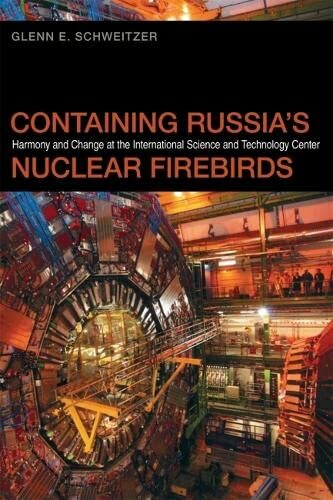 [PDF] Containing Russia's Nuclear Firebirds: Harmony and Change at the International Science and Technology Center | Free eBooks Download - EBOOKEE! Posted on 2017-12-31, by luongquocchinh. Description: In Containing Russiaâ€™s Nuclear Firebirds, Glenn E. Schweitzer explores the life and legacy of the International Science and Technology Center in Moscow. He makes the case that the centerâ€™s unique programs can serve as models for promoting responsible science in many countries of the world. Never before have scientists encountered technology with the potential for such huge impacts on the global community, both positive and negative. For nearly two decades following the Soviet Unionâ€™s breakup into independent states, the ISTC has provided opportunities for underemployed Russian weapon scientists to redirect their talents toward civilian research. The center has championed the role of science in determining the future of civilization and has influenced nonproliferation policies of Russia and other states in the region. Most important, the center has demonstrated that modest investments can encourage scientists of many backgrounds to shun greed and violence and to take leading roles in steering the planet toward prosperity and peace. Schweitzer contends that the United States and other western and Asian countries failed to recognize the importance, over time, of modifying their donor-recipient approach to dealing with Russia. In April 2010 the Russian government announced that it would withdraw from the ISTC agreement. After expenditures exceeding one billion dollars, the ISTCâ€™s Moscow Science Center will soon close its doors, leaving a legacy that has benefited Russian society as well as partners from thirty-eight countries. Schweitzer argues that a broader and more sustained movement is now needed to help prevent irresponsible behavior by dissatisfied or misguided scientists and their patrons. No comments for "[PDF] Containing Russia's Nuclear Firebirds: Harmony and Change at the International Science and Technology Center".